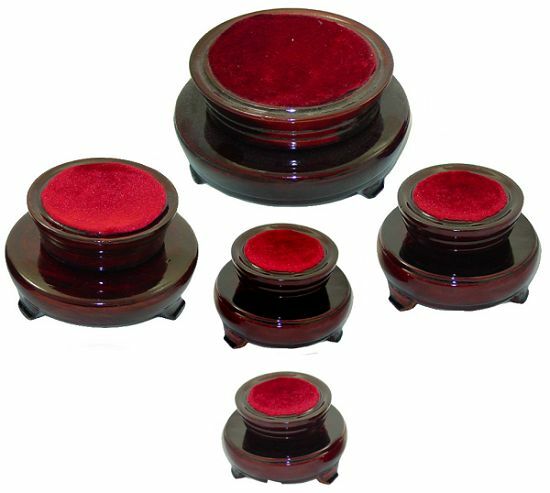 Solid wood rotating Ball or Sphere Stands with red felt lining. These rosewood finish stands contain bearings that allow you to rotate the upper portion of the stand, comparable to a "Lazy Susan". Perfect for showing off gemstone spheres, crystal balls and Art Glass. Deep Rosewood finish, these stands are handmade. 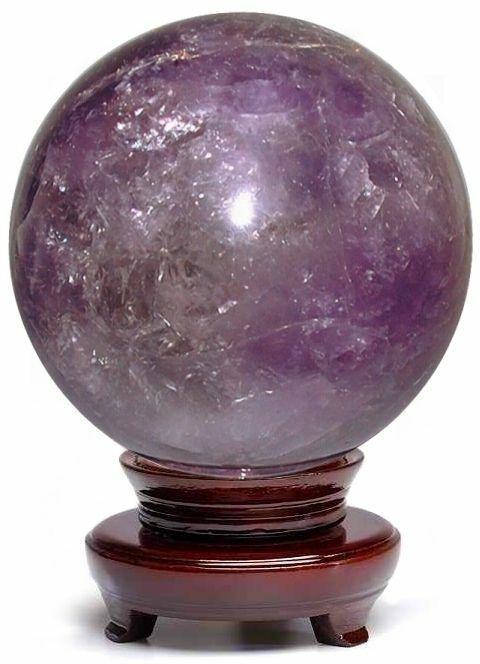 Seen above with Large Amethyst Sphere, available separately.